Accidents involving guns can have life-altering, if not life-threatening, consequences. Our attorneys represent individuals and families in Volusia and Flagler Counties who are suffering due to serious and fatal gun related injuries. The right for American citizens to own firearms is written into our Constitution. But, while owning a gun is a fundamental right, it also comes with great responsibility. Accidents involving guns can easily have tragic consequences, and gun owners whose reckless mistakes lead to accidents deserve to be held accountable under the law. In many circumstances, non-gun-owners will have a responsibility to protect members of the community from gun-related injuries as well. For example, a shooting range or nightclub that provides inadequate security may be liable for gunshot injuries suffered on its premises. Or if a gun is defective and the defect leads to a gunshot injury, the gun manufacturer may be liable for the victim’s medical expenses and other losses as well. Our attorneys bring over 180 years of combined experience to representing gunshot victims and grieving families in Volusia and Flagler Counties. If you are recovering from a gun-related injury, or if you have lost a loved one due to injuries from a gunshot, it is important that you speak with a local attorney about your legal rights. Gun-related injuries can have lifelong financial and non-financial consequences. So for surviving spouses, parents, and children, securing financial compensation can be critical to meeting your family’s needs now and in the future. How do you know if you are entitled to financial compensation for a gun-related injury? While there are several potential theories of liability, determining your rights isn’t easy. It requires a thorough investigation of the incident and a deep understanding of the laws that apply. With our decades of experience representing gunshot victims and their families, we know what it takes to win just compensation. We will provide you with a free assessment of your legal rights; and if you choose to work with us, we will not stop fighting until we have won the compensation you deserve. Depending on the specific facts and circumstances involved, there are four primary ways that gun injury victims can seek financial compensation for their losses. These are claims for (i) negligent security, (ii) negligent hiring, (iii) product defects, and (iv) negligent acts. In locations where there is a potential for gun use, business owners and gun owners have a responsibility to protect against gun-related injuries. Gun stores and shooting ranges must have appropriate security measures in place. Also, bars, nightclubs, and certain other businesses must take reasonable steps to protect their patrons against clear risks of gun violence. Likewise, gun owners must secure their guns when they are not in use. If a child or teenager has access to a parent’s gun, this too can potentially support a claim based on negligent security. From shooting ranges to police forces, all businesses and organizations that hire individuals who will have access to guns must conduct thorough background checks during the hiring process. Employees who will handle guns must have adequate firearms training as well; and, if they will be providing guns to others (e.g., at a shooting range), they must be able to effectively communicate both the risks and proper shooting procedures. Defective guns, gun accessories, and safety equipment are to blame for a significant portion of accidental gun injuries every year. If you were shot accidentally, were hurt while shooting or cleaning your gun (e.g., due to recoil or accidental discharge), or suffered eye, ear, or facial injuries despite wearing safety equipment, you may have a strict liability claim for a product defect. Unfortunately, negligent acts are to blame for a significant portion of gun-related injuries as well. From horseplay to using firearms without the requisite knowledge, it only takes one simple mistake to cause a lifetime of pain and suffering. Q: What are some examples of issues that can support claims for financial compensation for gun-related injuries? Q: Can I seek financial compensation if I caused my own gun-related injury? Even if you fired the gun that injured you, it is important not to assume that you caused your own injury. Depending on the circumstances involved, there are still a number of ways in which you may be able to seek financial compensation. Why were you injured? Did the gun discharge unexpectedly? Did it recoil more than you anticipated? Were you handed a gun without proper warning and instruction? These are just a few examples of issues that could support claims for financial compensation. Importantly, even if you were partially at fault in the accident, under Florida law, you could still be entitled to partial compensation. Florida is among the minority of states that follow a rule known as “pure comparative fault.” This means that even if the accident was mostly your fault, you can still seek compensation from the other party (or parties) that contributed to causing your injury. Q: What compensation is available to families of gunshot victims in Florida? Wrongful death claims are unique, and different family members are eligible to seek different forms of financial compensation. For more information, please contact us and one of our attorneys will sit down with you to explain everything you need to know. Q: Can I file for disability if I am unable to work due to a gun-related injury? Potentially, yes. If you have physical limitations that prevent you from working as the result of a gunshot, you may be eligible for disability. Depending upon your work history and the insurance coverage you have available, this could include Social Security Disability (SSD), long-term disability, or both. In addition to personal injury and wrongful death claims, a significant portion of our practice is devoted to helping Volusia and Flagler County residents successfully apply for disability benefits. To find out if you are eligible for benefits, please contact us today. If you have been injured or lost a loved one, we want to help you. So, why should you choose Rue & Ziffra Law Offices for your gun-related injury claim? We have been dedicated to representing Volusia and Flagler County residents with accident-related injuries since 1976. 2. We Have Unparalleled Local Experience. Our attorneys have over 180 years of combined legal experience and have handled thousands of cases, including numerous cases involving gun-related injuries. 3. We Put Our Entire Team on Your Side. Unlike other firms, we don’t assign cases to individual attorneys. Our entire team will work on your case to help maximize your financial recovery. 4. You Deserve Just Compensation. 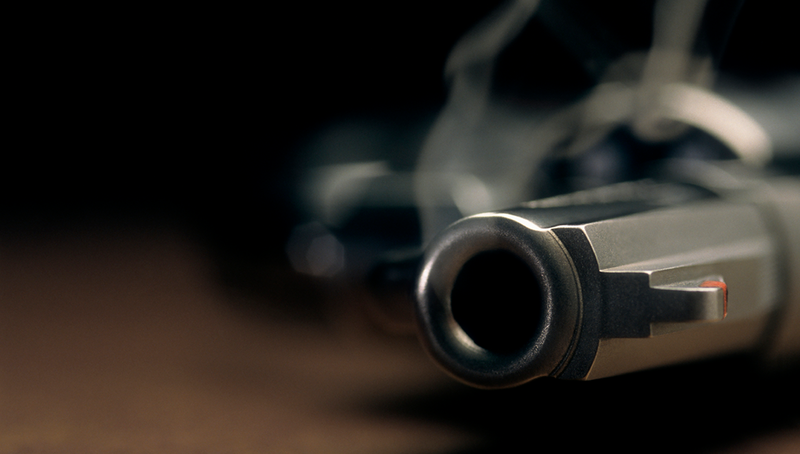 You deserve the best legal representation for your gun-related injury claim. Our local community voted us the “Best Law Firm” for 2017. 5. You Pay Nothing Unless We Win. With us, you do not pay anything out of pocket. We will take care of your legal costs while your case is pending, and you do not owe us anything unless we win just compensation. For more information about your legal rights after a gun-related accident in Florida, please contact us to arrange a confidential initial consultation. To speak with one of our experienced attorneys for free, call (386) 788-7700 or request a free case review online now.